We’ve Got That Swinging Feeling! The 6th Annual Mid-Atlantic Jazz Festival (MAJF) is set to commence Friday, February 13, through February 15, 2015, with more than 50 acts throughout the President’s Day Weekend! “We’ve Got That Feeling” that the 2015 MAJF is going to be the best one yet! Everything under one roof! Mid-Atlantic Jazz Festival @ Hilton Hotel & Executive Meeting Center, 1750 Rockville Pike, Rockville, MD 20852. Voyager Passports (all access) starting at $235. Individual session tickets, reserved seating, reserved tables, VIP upgrade and more! 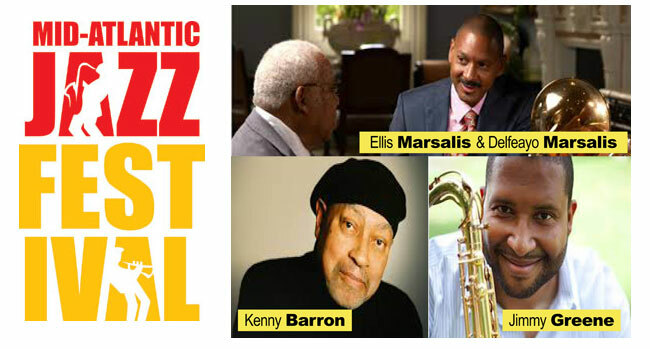 For complete MAJF information, including performance scheduling, please visit us on the web at www.midatlanticjazzfestival.org or call us toll free at (888) 909-6330.